Does Joanna Gaines Cover Her Christmas Tree In Teeth? 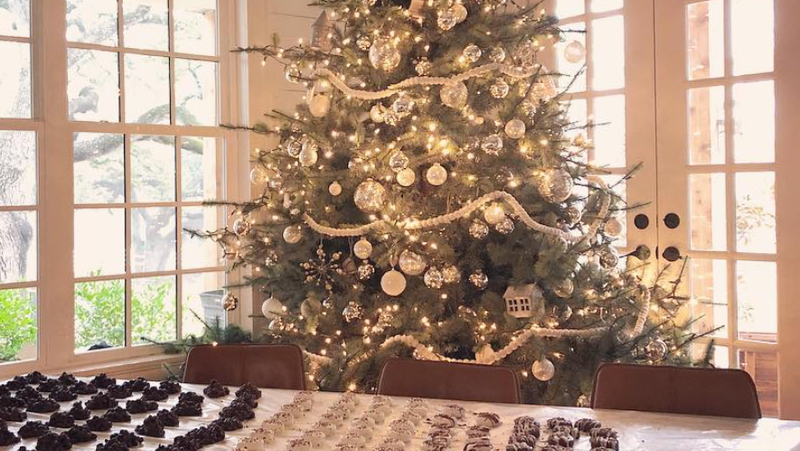 Merry Christmas from…Joanna Gaines' Tree of Bones? In a new essay for Magnolia Journal, per People’s website, Joanna Gaines talks about her family’s Christmas traditions like baking cinnamon rolls, burning festive candles, and, uhhh, I think hanging teeth from her tree? So, is that just like a tooth-shaped clay bob on a thread? A literal tooth on a hook? A seven-foot string of Gaines family teeth strung up like popcorn? A ceramic angel bearing a teeny, tiny placard that says “GOOD FOR EMMIE, RE: TOOTH”? I have no idea, and I won’t have any idea for the time being. Magnolia Journal, the Fixer Upper star’s lifestyle magazine, doesn’t publish its content online, and the new issue doesn’t appear to have hit store shelves in New York just yet, if all the booksellers I called up are to be believed. I reached out to Magnolia’s PR team for clarification, as well as the rep who handles the publication for Meredith, and I’ll update you all when I hear back.